A very specialized plan for those with celiac disease. The Gluten-Free Diet is eating plan that is followed by people who actually have celiac disease, which is an intolerance to gluten or for those who have a wheat allergy. There have also been a handful of studies that show that the Gluten-Free Diet may reduce the symptoms associated with autism. Gluten is a protein naturally found in a number of starches. Most notable are wheat, barley, rye, triticale, spelt and kamut. Gluten can also be found in other hidden food additives like vegetable protein, food starch, malt flavoring and other thickeners. In addition, some medications and supplements contain gluten as a binding agent. Therefore, those who follow the Gluten-Free Diet for health reasons must be very well-educated on the many sources that gluten can be found in. Those with celiac disease are unable to properly metabolize gluten, which causes an inflammatory reaction in the large intestine that inhibits the proper absorption of vital nutrients. Diarrhea, cramping, weight loss and fatigue are some of the most notable side effects. The only current treatment for celiac disease is following a lifelong Gluten-Free Diet. Gluten is found in many grains, especially barley, wheat and rye. Many times, foods and grains are processed together, creating instances of cross-contamination. Becoming well-educated about gluten and learning how to read food labels will greatly help you avoid products containing gluten. Current federal labeling laws require that wheat be declared on the product's label, even if it is contained in an ingredient like modified food starch. When committing to a gluten-free diet, you should not eat any grains containing gluten. Gluten-free choices include corn, rice, potatoes, soybeans and grains like quinoa, teff, amaranth, flax, buckwheat and wild rice. Most fruits, vegetables, meat, fish and dairy products are free of gluten. Prepared foods should be eaten with caution, and labels reviewed carefully. More recently, many bakeries are promoting themselves as gluten-free, to accommodate the needs of these individuals. Also, many health-food and organic grocers are carrying more gluten-free products. Beer should be avoided as it is almost all brewed with some form of wheat or barley. There are some specialty beers available and most wines and liquors are acceptable. 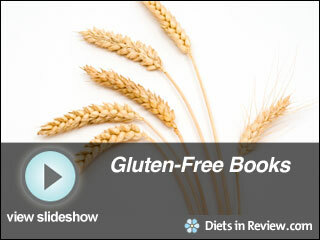 The Gluten-Free Diet is primarily followed by those suffering from celiac disease. Both those with the disease and those considering a voluntary gluten-free diet should consult their physician before beginning. The Gluten-Free Diet recommends regular cardio and resistance exercise. The Gluten-Free Diet is the only treatment option available for those who suffer from celiac disease or gluten sensitivity. While avoiding gluten in foods requires vigilance and astute label-reading, as the awareness of celiac disease has increased, so have gluten-free products. A person who cannot process gluten can still eat bread, pasta and cereals as long as they are made with alternative starches. If you suspect that you may have a gluten intolerance, talk to your doctor about having some simple diagnostic tests which can confirm or deny the presence of the disease. Recent research has also suggested that those who are sensitive to gluten can benefit from following the gluten-free diet. How Does Gluten-Free Diet Compare? You do not have to be celiac to have a gluten sensitivity or intolerance! There are over 190 diseases including some cancers linked to gluten sensitivity and intolerance. Celiac is one of the 190. Celiac is not a precursor, but can show up along with other health issues. It is unfortunate that testing for gluten sensitivity and intolerance is geared mostly towards celiac disease ... and that most people end up with positive test results long, long after the damage has been done. I know several people who have been tested more than four times + over a period of years before they got a positive test result. Either the tests are not adequate ... or the labs are not doing a good enough job running the tests ... or both. The best way to find out if you have gluten issues is to omit all gluten products from your diet for a month or two and see you are doing and feeling. It is the same suggestion made for any other type of food allergy. If at the end of a month or two it makes a big difference in how you feel day in and out, how your digestive system works, how your skin feels and looks, if your pain levels get better, etc ..... then you probably have a gluten sensitivity or intolerance problem. You have to be proactive and have an open, creative mind for a gluten free diet change. It is not that hard of a diet change to do. If you have a gluten issue and still continue to eat gluten foods, you are slowly poisoning your body. I know a lady who finally got diagnosed with celiac at the age of 60 after she battled Crohn's disease for many years. she is still pissed that her doctors did not connect the dots when she first started to have Crohn's symptoms. Some doctors do not keep themselves up with the latest research and discoveries ... thus not equipped to connect the dots. I do not think any studies have been done and there should be ... my bets are on that sticking to a gluten free diet can add 10 .. 20 + years to your life ... if you have a gluten sensitivity or intolerance issue, and it would make a difference in the quality of life too!. I've had Celiac for about 2 years now, and I just want everyone to know that it isnt always stomach issues. I slept for about 20 hours a day, and was constantly grumpy and tired. But I never had any stomach issues AT ALL. That's why the doctors took so long in finding the Celiac. It's an easy test, just get checked if you feel terrible all the time! Being a celiac patient for 8+ years now, the one thing I would like someone or some company to publish (even sell) is a meal plan for those of us that need help in losing weight. All Celiac patients are not skinny and/or healthy! Let's face it, if you look 40 lbs. overweight, you probably are. Sad thing about it is we are so limited to fiber foods it is very difficult. I would like to lose 20 lbs. being a Celiac patient. Does anyone have any thoughts on that? Wanting to "spru"ce up in Wisconsin! There are plenty of sites that offer great gluten-free recipes that make cooking a lot easier: http://www.easydinnerrecipes.ca/gluten-free-banana-bread.html - This banana bread is delicious! That's crazy that gluten is hiding in all those foods. Believe I'll be reading my food labels much more closely! To everyone: Be aware that symptoms of celiac sprue are not the only indications of an allergy to gluten. For 60 years, I suffered from almost constant itching followed by skin eruptions, which would manifest themselves as open sores for 4-6 months. Miserable! No physician could give me a clue as to what was going on with me. One day, I searched the internet and found out that I have a gluten allergy. It was a hugh adjustment at first, but soon I found out that I felt better when avoiding wheat and wheat products. And my skin is almost clear after almost 2 years on a gluten free diet. So it isn't just bowel involvement in the form of diarrhea that indicates a gluten allergy. Hopefully, I have been able to help others by sharing this information. Thank you. I agree/disagree You have the basic information correct, however- being a person with sprue its hard to say we are living a NORMAL life- there are many intollerance's involved down to your lip stick you wear! So normal isn't a word I would use ever with this no cure available dis. It is also a fantastic diet for those people with add adhd autism and asburger's syndrome! I have two kids who have both bennifited from this who have those problems- and have seen a huge difference in them! Anyone can do this diet! or lifestyle as i put it- its all in your mindset and how commited you are to getting all those toxins OUT of you body! besides, did anyone really think fast food and soda was REALLY a GOOD IDEA? come on!. A gluten free diet is not only recommended but necessary for individuals who have coeliac disease / gluten sensitive enteropathy. They have an adverse reaction to gluten, and if they consume even a small amount it causes the bodies immune system to have a destructive effect on their intestines. That leads to malabsorption and great discomforts. By completely avoiding gluten, sensitive individuals recover full health and can live life normally, except for the fact that they must always watch out for gluten in their diet. A gluten free diet is very hard to follow and is not necessary for a majority of individuals. Unless you have been diagnosed with coeliac disease by a licensed medical professional you shouldn't embark on a gluten free diet. has anyone tried this gluten-free diet? it seems more like something for an alergy than a "diet"